Persons attending school was 32.1% of the total population in the CNMI in 2017. The persons attending school’s percentage was higher in Saipan (32.7%) than in Tinian (26.7%) and in Rota (25.1%). The persons attending school’s percentage was highest in District 1 (38.8%) and lowest in District 3 (28.8%). Persons with high school diploma or GED was 47.4% of the 25 years and older population in the CNMI in 2017. Persons with some college or Associate’s degree was 20.2%; those with less than high school diploma was 16.9%; those with a Bachelor’s degree was 13.4%; and those with a Master’s and beyond was 2.1%. The percentage of persons with high school diploma or GED was higher in Rota (54.0%) than in Tinian (47.2%) and in Saipan (47.1%). The percentage with some college or Associate’s was higher in Tinian (26.2%) than in Saipan (19.9%) and in Rota (17.9%). The percentage with a Bachelor’s was the same in Tinian and Saipan (both 13.5%) and was lower on Tinian (10.8%). The percentage with a Masters was practically the same in in all three islands. The percentage with less than high school diploma as higher in Saipan (17.3%) than in Tinian (14.3%) and in Rota (12.3%). The percentage of persons with high school diploma or GED was highest in District 4 (56.9%) and lowest in District 1 (44.6%); the percentage with some college and Associates was highest in District 5 (22.6%) and lowest in District 4 (14.8%); the percentage with a Bachelor’s was highest in District 2 (17.5%) and lowest in District 4 (8.0%); the percentage with a Master’s was highest in District 3 (3.0%) and lowest in District 2 (0.6%); and the percentage of persons with less than high school diploma was highest in District 1 (23.4%) and lowest in District 3 (11.9%). LFS 2017 Table P9.1 Attending School by Island and by District : CNMI 2017 Fourth Qtr. 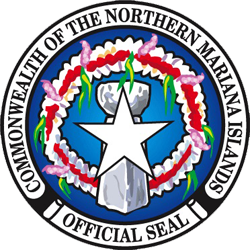 LFS 2017 Table P9.2 Educational Attainment by Island and by District: CNMI 2017 Fourth Qtr.